As we previously reported, Microsoft is gearing up to release a new version of Windows, possibly this summer. It’s codenamed Microsoft Blue and more details about it are emerging. Redmond is rumoured to be halfway done with its development, reports Mary Jo Foley. Windows Blue is some kind of update to Windows 8 and it is expected to be free to all Windows 8 users, win8china, reports. They will get to test it and offer feedback to Microsoft before Microsoft makes it available to everybody. 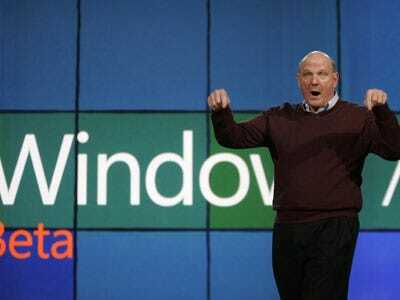 It sounds like it will be an upgrade to Windows 8, not a new operating system that will be sold in addition to Windows 8. One big change will be to the “search charm.” It’s being improved all the way around, and will do a better job of finding and previewing more kinds of content, like movies and apps, The Verge reports. Windows Blue is also expected to include the new Internet Explorer 11, run faster and work better on 7- and 8-inch devices. We do wonder about choosing the code-name “Windows Blue” though, given that blue has never been a very good sign for Windows. The “blue screen of death” (BSOD) is the name for that awful error message indicating Windows had crashed.